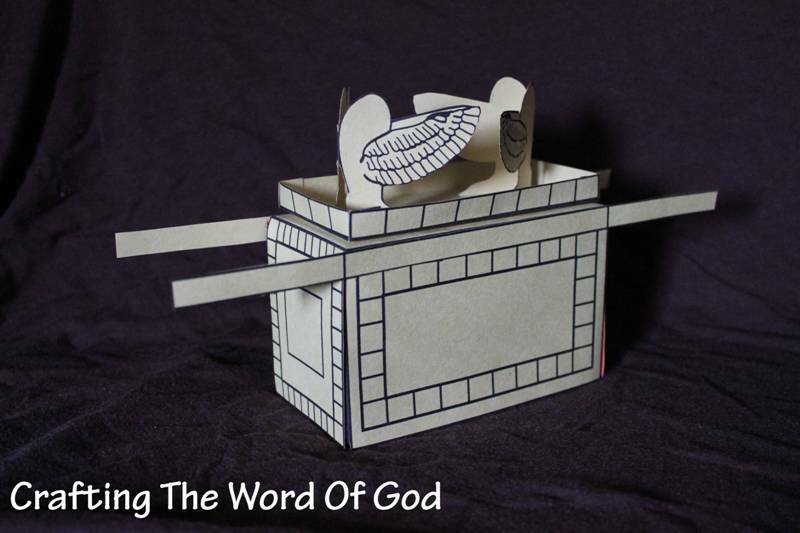 Have your kids make their very own ark of the covenant. Its creation, description and purpose. Having it stolen and returned by the Philistines. The creation of Solomon’s temple. Color and cut out all of the pieces if you printed it on white card stock. If printed on yellow card stock you can skip the coloring it in part. Assemble the bottom, large box by folding on the solid lines and adding glue to the tabs. Once the large box is assembled, glue the long pieces to each side of the box. Next assemble the rectangular piece. Glue on the rectangular piece to the top of the large box. Finally glue on both angels. 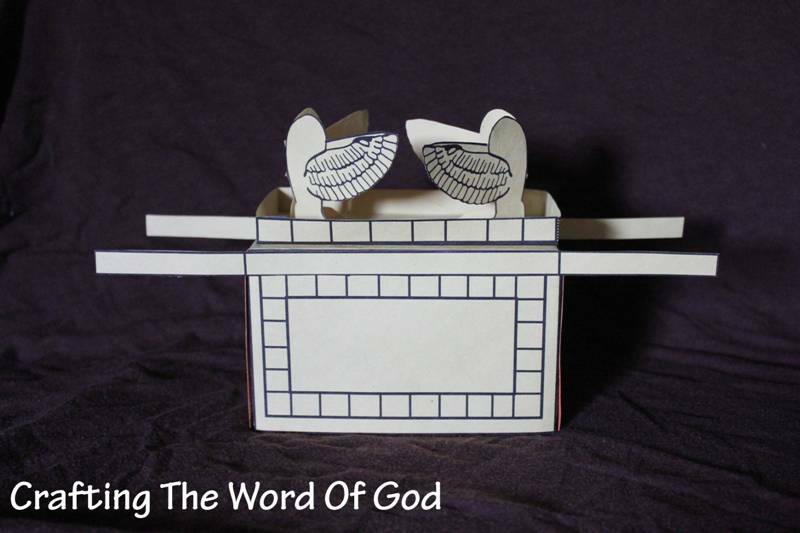 This entry was posted in Bible Crafts, David, Joshua, Moses, OT Crafts, Samuel, Solomon and tagged ark, ark of the covenant, bible crafts, covenant, craft, crafts, David, God, Jericho, Jordan, Joshua, Moses, Samuel, Solomon, temple. Thanks for visiting my site. Glad you liked the template. Thank you for sharing. We are learning about Joshua and wanted to illustrate the crossing of the Jordan River.